Children’s and Family Ministry is about more than making faith fun. It’s about making faith last a lifetime. Our M.A. in Children’s and Family Ministry prepares you to take your ministry to the next level. We know this ministry is a big job, so we’ll help light the fire within by developing the head, heart, and hands of leaders like you. You’ll build a solid biblical foundation for successful ministry where you are—or wherever God calls you in the future. The M.A. in Children’s and Family Ministry will help you analyze the cultural trends affecting youth, parents, and the church while recognizing the uniqueness of each child and family. Thanks to the practical knowledge you’ll gain, you won’t be surprised by the challenges you face in ministry. Plus, you’ll develop relationships with other ministry leaders for a lifetime of support. Bethel Seminary was the first accredited distance-learning degree program for children's and family ministry—and we’ve been offering it since 2000. We've recently made our program even more "doable" for ministers like you serving children, youth, and family, while retaining a robust and transformational education. In just 2.5 years, you'll be ready to lead in ministry in your church, community, and the world! You’ll move through your degree program with your cohort—peers who, like you, are actively involved in ministry, sharing your passion to serve children, youth, and families. You'll become each other's champions, confidants, and co-teachers as you share the journey together. The focus of the children’s and family ministry courses is to allow you to use your current ministry context to make immediate application of your learning. Your church or ministry setting becomes the location for application of learning. 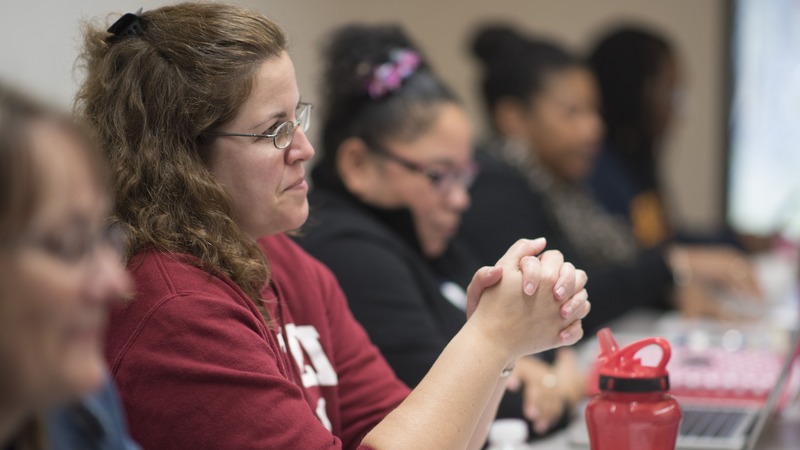 Grow in your capacity to be whole and holy through integrative learning from our three-center philosophy of education: biblical and theological studies, personal and spiritual formation, and leadership development. When you graduate, you’ll become part of a growing network of alums from Bethel’s children’s and family ministry programs to gain support and friendship throughout your career. You'll interact face to face with recognized leaders in the field of children's and family ministry—like Denise Muir Kjesbo, lead faculty for the program, who was chosen one of the "Top 20 Influencers in Children's and Family Ministry" by Group Publishing. Students in our program represent more than 25 denominations, 35 states, and 10 international ministry contexts. The M.A. in Children’s and Family Ministry will prepare you to strengthen your ministry to children and families through a strong biblical foundation, practical course material, and personal reflection.